Father and son cricketers Jeff and Simon Jones have been inducted into the Welsh Sports hall of fame. 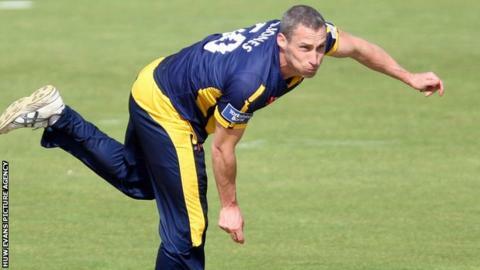 The ex-Glamorgan and England players were honoured in a ceremony in Cardiff. Also inducted were rhythmic gymnast Frankie Jones, who won six medals at the 2014 Commonwealth Games and Steve Barry, gold medallist in the 30km road walk at the 1982 Games. Former Glamorgan cricketer and Wales rugby player Wilf Wooller was posthumously inducted. Celtic Dragons netball team manager Wendy Pressdee won the the unsung hero of sport award and director of sport at Cardiff Metropolitan University, Dave Cobner, won the Special Award for outstanding services to Welsh sport. Dot Davies, presenter of BBC Wales' Sport Wales programme, was named Welsh Sports journalist of the year.